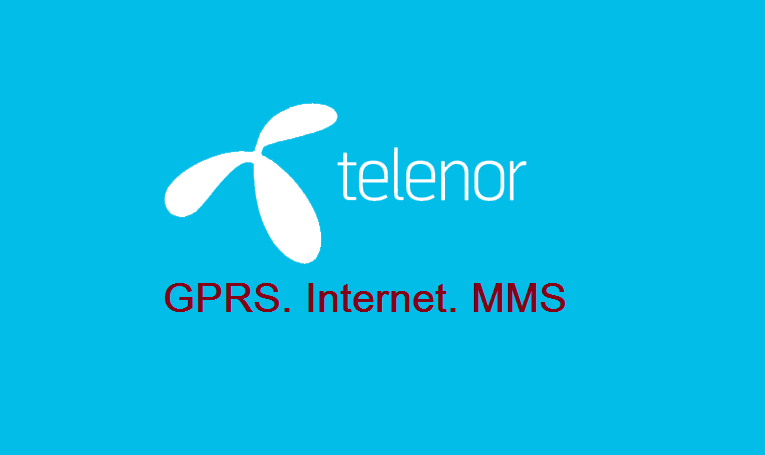 Today we are going to talk about Telenor Internet Settings and MMS Settings including manual configuration and settings through the call, SMS and website. Telenor is one of the top network providers in Pakistan that is providing mobile internet services over all the three 2G, 3G and 4G bandwidths. Telenor Group is an international telecommunications company that is headquartered in Norway. As of fourth quarter of last year, the company claims over 39.428 million mobile subscriptions and has about 6000 employees. Previously, we talked about Telenor Internet Packages, Telenor 3g, 4g Device Packages, and Telenor Call Packages. You don’t have to insert settings manually in order to use MMS, WAP and mobile internet on your phone as you will get them automatically and free by SMS. If you are a new Telenor customer or you have changed your phone, the system will automatically recognize the brand and the model of your phone and will send you the necessary settings depending on the phone’s features. After receiving the new settings the only thing that you have to do is save them by selecting YES, Install, Save, or Accept – depending on the phone’s brand and model. Go to Settings > Wireless & networks > Mobile networks > Access Point Names. Tap the ‘Add’ button at the top right corner. You can leave all the other fields blank as they are and save these settings. Call at 345 and talk with customer service officer of Telenor and register a request for Telenor GPRS and MMS settings by giving the details of your handset make and model. Write “wap” and SMS it to 131. Write “mms” and SMS it to 131. Go to handset settings page. Select your handset, model type and desired settings and save the settings retrieved OTA (over the air). 4G is the fourth generation of mobile telecommunications technology, succeeding 3G. Telenor 4G will work both on Prepaid & Postpaid connections. Telenor’s 4G will have improved indoor coverage and better reach in comparison to the other operators because of its superior operating frequency band 850 MHz for 4G. Telenor 4G can be experienced as long as the subscriber is within 4G coverage area and has 4G 850 band compatible mobile handset, tablet or dongle and Telenor 4G Ready SIM. 4G is currently available in selected areas; Karachi, Lahore, Islamabad, Peshawar, Multan, Faisalabad and Swat. 4G coverage will expand soon. When the subscriber moves out of 4G coverage, he/she will be transferred seamlessly to 3G/EDGE depending on the service availability in the coverage area. This was all about configuration of Telenor Internet Settings and MMS Settings on the mobile phone.